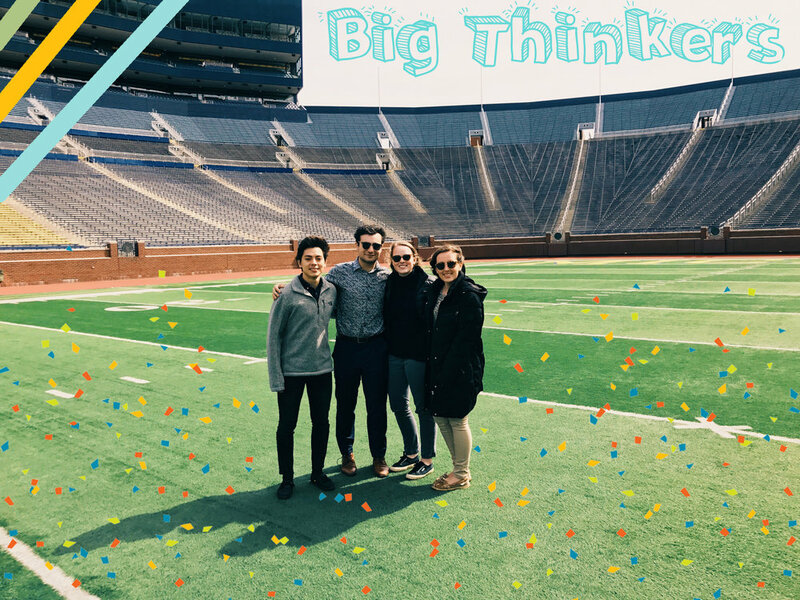 Founded in 2013, the Big Thinkers Scholarship is a student-funded, need-based endowed scholarship – one of the first of its kind. As members of MUSIC Matters, we understand the value of our experience here at U of M. Our $50,000 endowment allows students to share in this tradition regardless of their financial situation. With the ever-growing issue of college affordability, we are confident that our scholarship makes a true difference on campus. The Scholarship application deadline for 2019 has passed.